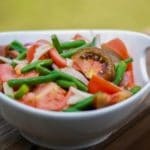 This Green Bean & Tomato Salad made with garden fresh green beans and Heirloom tomatoes tossed with shallots in a Ginger Wasabi Vinaigrette dressing is deliciously light and complements many recipes with Asian flavors. Today is Day 2 of Salad Week here at CEK and I couldn’t wait to share this Green Bean & Tomato Salad with Ginger-Wasabi Vinaigrette with you. Especially since in a short time, all of those fresh garden vegetables you planted will be coming to fruition. 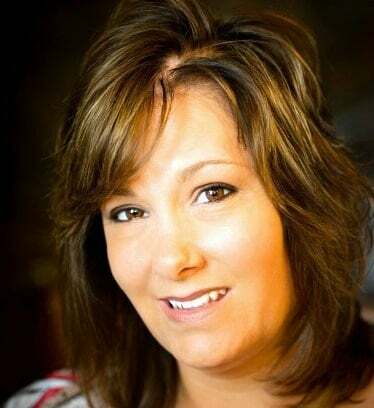 I’ve mentioned before that I hail from the Garden State of New Jersey and one of our most famous crops are tomatoes. I love all types of tomatoes, but my absolute favorite would have to be the Heirloom variety. They come in a multitude of colors and are so sweet and hearty, I could eat them all by themselves. For this salad, I combined my favorite Heirloom tomatoes with some hearty Beefsteak tomatoes, shallots and fresh green beans; then tossed them in a light ginger-wasabi vinaigrette to give my salad a little zesty Asian flair. This salad was incredibly tasty and would make a perfect accompaniment to any picnic or as a stand alone meal; especially on a warm summer day. 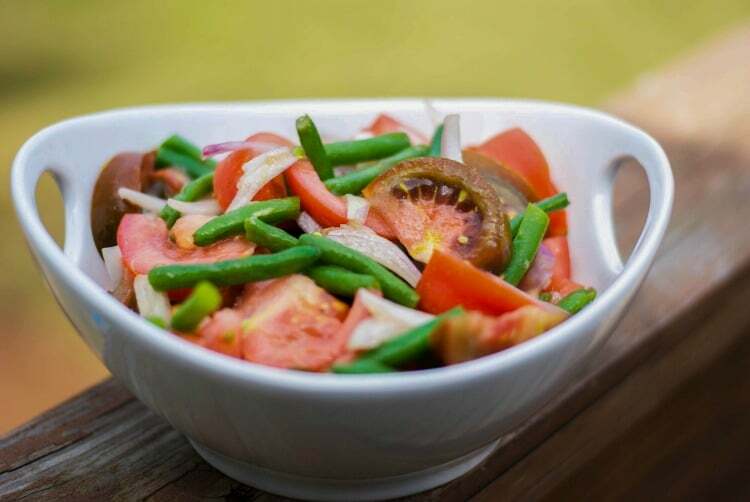 Garden fresh green beans and Heirloom tomatoes tossed with shallots in a Ginger Wasabi Vinaigrette dressing complements many recipes with Asian flavors. 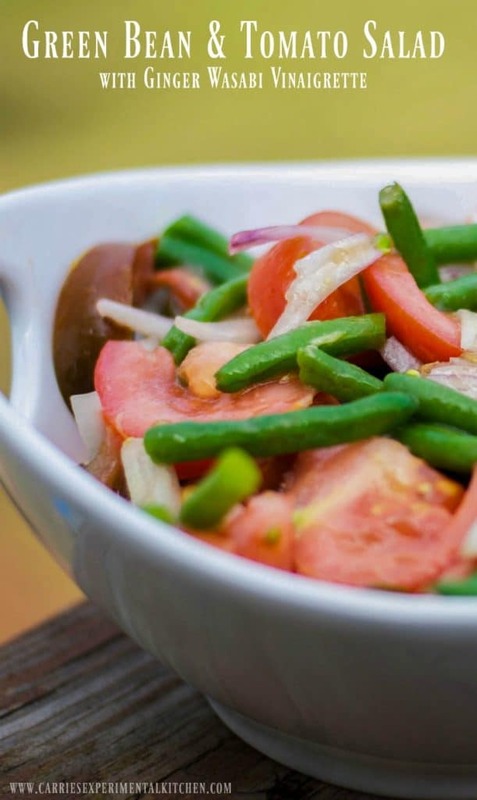 Add the green beans, tomatoes and shallots to a large bowl; then add the prepared ginger-wasabi vinaigrette. Mix well and keep refrigerated until ready to serve. Whisk all ingredients together in a small bowl. Makes 1/2 cup. This looks delicious–the vinaigrette sounds so tempting to me right now! Tomatoes can’t come soon enough, I always think in May. I feel a bit jaded by September, but right now . . . . WANT!